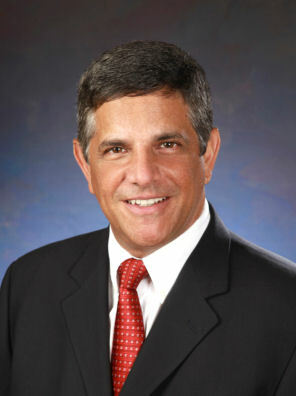 Ken Silberling specializes in the leasing and sales of commercial property. He has over 30 years of experience in the South Florida Commercial Real Estate market. In March 2018, he was named Regional Senior Vice President for South Florida at Truss Holdings, LLC. Truss is a tech-enabled Commercial Tenant Representation Brokerage which is the smartest, fastest way for small to medium size businesses to find space. His responsibilities include opening the South Florida office as the seventh major market served by Truss, developing a comprehensive property database of the tri-county South Florida market, and working with companies to find their ideal spaces and negotiate transactions. He was previously Vice President of Sales at Capital Business Solutions where he expanded his practice beyond commercial real estate to include the sale of businesses. He was Vice President of Business Development and Brokerage at Brenner Real Estate Group (since acquired by CBRE) from 2013-2016 and was Vice President of Leasing and Acquisitions and Director of Business Development at Danburg Properties from 1999-2012. At Danburg, a Boca Raton-based commercial real estate investment and development firm, Silberling was instrumental in growing the portfolio from 150,000 to 1 million square feet, completed well over 500 office and industrial lease transactions, and was named a Power Broker by CoStar. He also managed approximately 300 client relationships with tenants including AT&T, Xerox, The Tribune Company, Rexall/Sundown/Nature’s Bounty, The National Council on Compensation Insurance (NCCI), Hertz, Pitney Bowes, Mutual of America, Raymond James and Maxim Healthcare. Prior to that he was Research and Marketing Partner and expanded into Investment Sales and Leasing at Commercial Florida Realty Partners, which was subsequently acquired by Grubb and Ellis (now Newmark Grubb Frank). In that capacity, he designed and implemented comprehensive property databases and financial analysis tools, designed the website, trained brokers in the use of technology and prepared market and status reports for institutional clients. He has been a featured speaker for the National Association of Office and Industrial Properties (NAIOP) and the Institute of Real Estate Management (IREM). He authored semi-annual reports on office and industrial markets for paid subscriber list including Principal Financial, John Hancock, Stiles Corporation and Crocker Realty Trust. He also was active in tenant representation and investment sales including the acquisitions of One Boca Commerce Center and Cypress Creek Business Park for Danburg Management Corporation. His earlier experience included creating the research department at Colliers International South Florida and he began his career as Director of Research at Cushman and Wakefield in Miami. He is a recognized market expert and has been quoted in such publications as The Wall Street Journal, National Real Estate Investor, The Miami Herald, South Florida Sun Sentinel, The Palm Beach Post, the South Florida Business Journal and CoStar Commercial Real Estate News. He has also developed and expertise in the use of Social Media in Real Estate. He established his prior company as one to the “100 Top Commercial Real Estate People to Follow on Twitter”, led his company to a top ten finish out of over 100 firms in the South Florida Business Journal’s Social Madness Competition, and one of his blog videos has received over 2 million views. He is also the manager of the Linked-In Group and Blog Editor for the South Florida Office Brokers Association. He holds a Master of Business Administration, from Georgetown University and a Bachelor of Science in Communications from Florida State University.